How to perform a (LEFT|RIGHT|FULL) (INNER|OUTER) join with pandas? How do I add NaNs for missing rows after merge? How do I get rid of NaNs after merging? Can I merge on the index? How do I merge multiple DataFrames? merge? join? concat? update? Who? What? Why?! ... and more. I've seen these recurring questions asking about various facets of the pandas merge functionality. Most of the information regarding merge and its various use cases today is fragmented across dozens of badly worded, unsearchable posts. The aim here is to collate some of the more important points for posterity. This QnA is meant to be the next instalment in a series of helpful user-guides on common pandas idioms (see this post on pivoting, and this post on concatenation, which I will be touching on, later). Please note that this post is not meant to be a replacement for the documentation, so please read that as well! Some of the examples are taken from there. This post aims to give readers a primer on SQL-flavoured merging with pandas, how to use it, and when not to use it. Performance-related discussions and timings (for now). Mostly notable mentions of better alternatives, wherever appropriate. Handling suffixes, removing extra columns, renaming outputs, and other specific use cases. There are other (read: better) posts that deal with that, so figure it out! Most examples default to INNER JOIN operations while demonstrating various features, unless otherwise specified. Furthermore, all the DataFrames here can be copied and replicated so you can play with them. Also, see this post on how to read DataFrames from your clipboard. Lastly, all visual representation of JOIN operations are borrowed with thanks from the article https://www.codeproject.com/Articles/33052/Visual-Representation-of-SQL-Joins. Enough Talk, just show me how to use merge! For the sake of simplicity, the key column has the same name (for now). 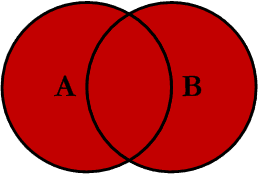 A here refers to the keys from the join column in the left DataFrame, B refers to keys from the join column in the right DataFrame, and the intersection represents keys common to both left and right. 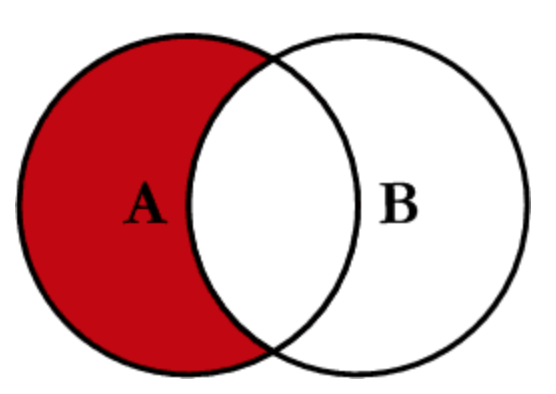 The shaded region represents the keys that are present in the JOIN result. This convention will be followed throughout. 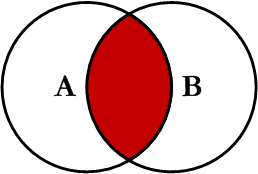 Keep in mind that Venn diagrams are not a 100% accurate representation of JOIN operations, so take them with a pinch of salt. To perform an INNER JOIN, call pd.merge specifying the left DataFrame, the right DataFrame, and the join key. This returns only rows from left and right which share a common key (in this example, "B" and "D). In more recent versions of pandas (v0.21 or so), merge is now a first order function, so you can call DataFrame.merge. This can be performed by specifying how='left'. Carefully note the placement of NaNs here. If you specify how='left', then only keys from left are used, and missing data from right is replaced by NaN. Here, keys from right are used, and missing data from left is replaced by NaN. This uses the keys from both frames, and NaNs are inserted for missing rows in both. If you need LEFT-Excluding JOINs and RIGHT-Excluding JOINs in two steps. When merging on keyLeft from left and keyRight from right, if you only want either of the keyLeft or keyRight (but not both) in the output, you can start by setting the index as a preliminary step. Contrast this with the output of the command just before (thst is, the output of left2.merge(right2, left_on='keyLeft', right_on='keyRight', how='inner')), you'll notice keyLeft is missing. You can figure out what column to keep based on which frame's index is set as the key. This may matter when, say, performing some OUTER JOIN operation. To join on more than one column, specify a list for on (or left_on and right_on, as appropriate). Merging a DataFrame with Series on index: See this answer. Besides merge, DataFrame.update and DataFrame.combine_first are also used in certain cases to update one DataFrame with another. pd.merge_ordered is a useful function for ordered JOINs. pd.merge_asof (read: merge_asOf) is useful for approximate joins. This section only covers the very basics, and is designed to only whet your appetite. For more examples and cases, see the documentation on merge, join, and concat as well as the links to the function specs. If your index is named, then v0.23 users can also specify the level name to on (or left_on and right_on as necessary). Or vice versa (right_on=... and left_index=True). Besides these, there is another succinct option. You can use DataFrame.join which defaults to joins on the index. DataFrame.join does a LEFT OUTER JOIN by default, so how='inner' is necessary here. Since the column names are the same. This would not be a problem if they were differently named. For more information, see this canonical post on pd.concat by @piRSquared. Note that every column besides the "key" column should be differently named for this to work out-of-box. Otherwise, you may need to use a lambda. If your column values are unique, then it makes sense to use pd.concat, this is faster than a two-at-a-time multi-way merge. If you are merging multiple DataFrames on unique indexes, you should once again prefer pd.concat for better performance. # Note, the "key" column values are unique, so the index is unique. As always, omit join='inner' for a FULL OUTER JOIN. concat is fast, but has its shortcomings. It cannot handle duplicates. In this situation, join is the best option, since it can handle non-unique indexes (join calls merge under the hood). # For inner join. For left join, pass `pd.DataFrame.join` directly to `reduce`. Could you please include some explanation on when pandas.DataFrame.align should be used? This seems to be a yet another way to merge. @S.V I don't think align is appropriate for this post, but I can explain how it works and hopefully you'll understand why. align is used to make the indexes of two DataFrames compatible with each other by inserting NaNs for missing keys. It's almost like both frames are reindexed on the union of the indices. The return value of left.align(right) is (left_aligned, right_aligned). Hope that makes sense. @philipxy Oof, that's shameful. I've edited to fix the terminology and add venn diagrams (with source credited accordingly). Let me know if that's better. Thanks again for your comment. OH NO VENN DIAGRAMS I can't bear to look yet but: "Re Venn diagrams" Also this comment by me on this question & my others on this page. And my comments on this page. OK I peeked... limited to inner vs outer joins, good... but you do not give an initial legend for the diagrams explaining A, B & their elements. PS Still a "FULL INNER JOIN" & still INNER JOIN undefined. @philipxy Okay, I've added a legend. But please keep in mind the goal of this post is not to explain what joins are, just how they are implemented with pandas. Readers are assumed to have a basic understanding of joins and how they work. 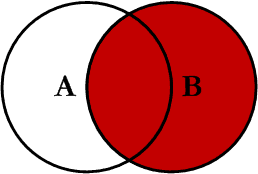 Venn diagrams here are used to supplement understanding by mapping the code to SQL operations, and not so much as a pedagogic tool. Did you read my Venn diagram PS & comments? Or the link you gave? It does not explain Venn diagrams & abuses them as my links explain. From it: "This query will return all of the records in the left table (table A)" NO, the circles are not the input tables & the output rows in general are not input rows, the on condition & keys are irrelevant, etc etc etc etc. Your legend is similarly wrong. You are not reading what is actually written. You are just passing on confusions. PS A is left LEFT JOIN right. B is left RIGHT JOIN right. The intersection is left INNER JOIN right. You show it yourself. 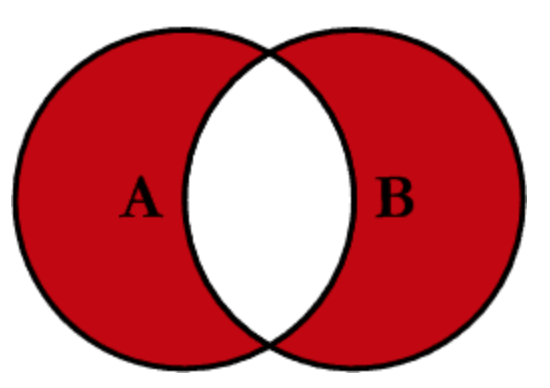 x SEMIJOIN y is rows in x with a match in y. x ANTIJOIN y is rows in x with no match in y. Venn diagrams are inappropriate for both. "All you have to do to see this is to identify what exactly are the elements of the sets represented by the circles. (Which muddled presentations never make clear.)" 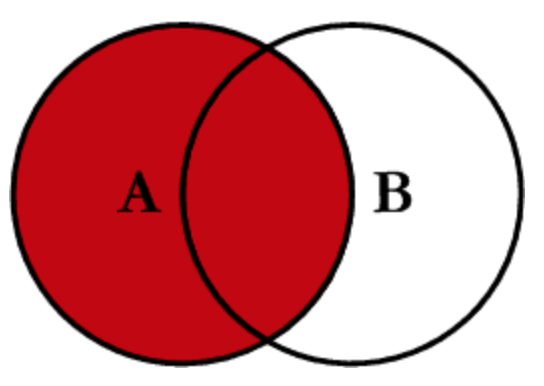 @philipxy okay, I am not an SQL expert, and I fear adding this level of explanation only to make the Venn diagram be technically accurate will result in more confusion. 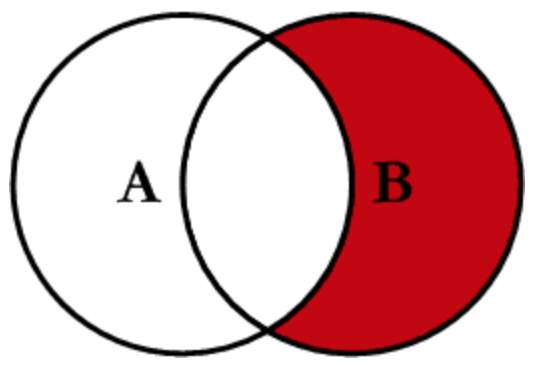 Can we fix this problem by using A and B to represent the sets of join keys and go from there? Or is your suggestion to just remove them altogether? You are an absolute legend, so you happen to have a post on the best way to concat multiple excel/csv files? I know how to do this and there are threads but I wonder what the best method or practice is. Could you please add to your answer (if it is possible) an efficient (complexity O(N)) way to merge a list of pandas DataFrames, each having a sorted index, into a singe DataFrame with a sorted index? @S.V if the indexes are unique, you can use pd.concat (already in this answer) with join='outer' argument. @S.V that's odd. Perhaps open a new question and I (or one of my colleagues) could take a closer look? Fantastic article so far, however I feel it is lacking anything discussing returning a DataFrame object from the various merges. @Andy Not sure I follow, all merge operations shown here return a DataFrame! [SOLVED] How to iterate over rows in a DataFrame in Pandas? [SOLVED] How do you merge two Git repositories?